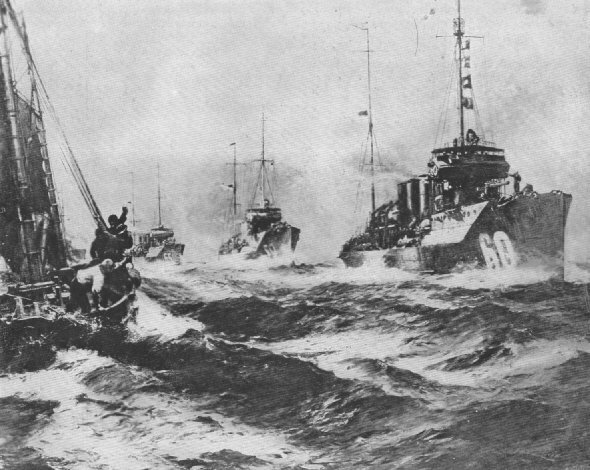 THE RETURN OF THE MAYFLOWERA painting by Bernard F. Gribble, showing arrival of the first American destroyers off the coast of Ireland. They were the Wadsworth, Porter, Conynham, McDougal, Davis and Wainwright, under command of Lieut. Com. J. K. Taussig. The painting is now the property of Admiral Sims.